I am very fortunate to have The Stag in Hampstead as my local. And it really is lovely here! 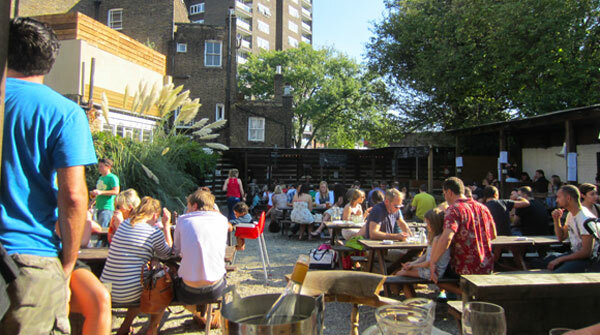 Not only do they put on a hearty Sunday roast but the menu everyday of the week boasts really scrumptious pub meals, they have one of the best beer gardens in London, a beer list incorporating over 60 brews from around the world and the staff are pretty cute too! Suffice to say I will not be moving house in a hurry. I have enjoyed many a Sunday roast at The Stag but being so relaxed at my local have always forgotten to take the pics and write it up. But as the leaves are turning and the air is getting chilly we are officially in Sunday roast season so perfect timing for my Stag rant. Except of course on the particular Sunday I choose to have a warming roast, London is experiencing a record breaking heatwave! 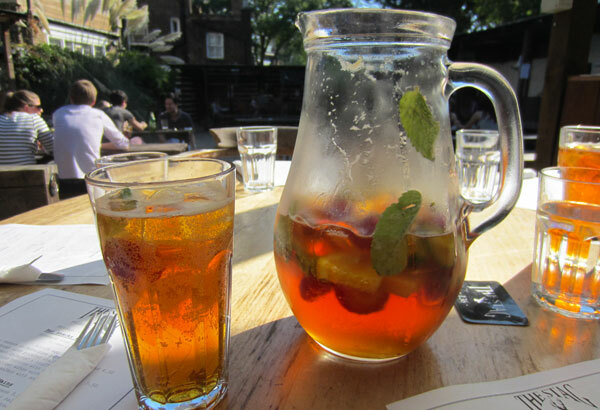 But we soldiered on with the assistance of Pimms – jugs of! 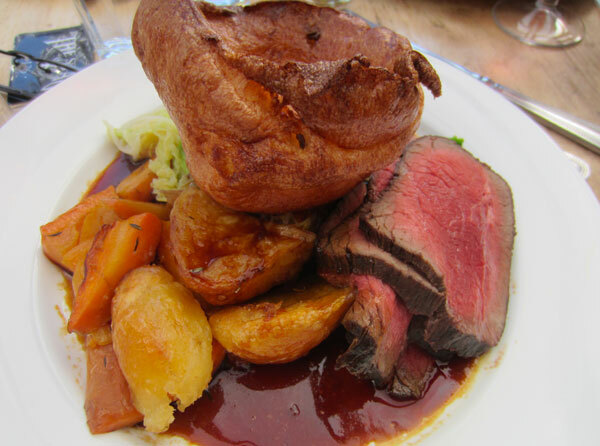 Roasts take the centre stage on the Sunday lunch menu at The Stag, but they do also offer some really tasty starters, which if combined would easily satisfy your belly as a square meal if you weren’t in the mood for a hearty roast. 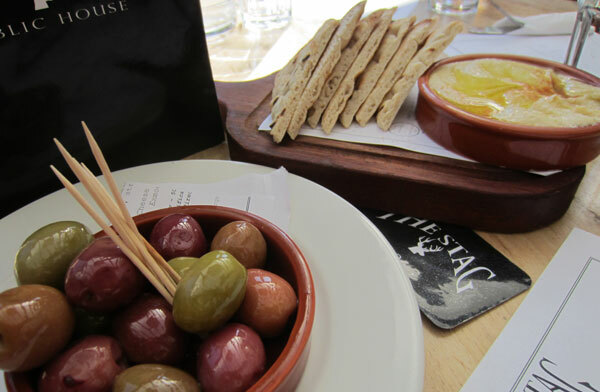 We grazed on some juicy olives and fresh hummus and pita before embarking on the main event. I am not a vegetarian but I can never seem to go pass the mushroom and cashew Wellington. Encased in golden puff pastry it is always packed with juicy mushies and loads of nuts. Served piled high with seasonal roast veggies and on this occasion a pumpkin gravy. Of course no roast is complete without the Yorkshire pudding and although I can never manage to east a whole one The Stag make them just right, crisp on the outside with a doughy centre to mop up all the gravy. Roast beef comes pink or well done (I have never understood anyone who prefers their meat well done!) however the option is there. Pork belly with apple sauce is also on the menu and probably the most spectacular on the roast line up – a whole free range roasted chicken! Nothing like a whole succulent bird arriving at your table – which they say serves two but I think that four people could be quite satisfied! 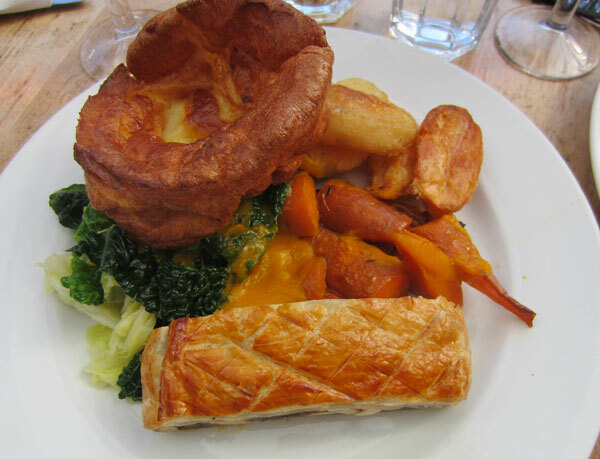 All of the roasts are accompanied with a great selection of roasted veg and particularly crispy potatoes. For approx £14 for the meat options and £12 for the veggie they are very reasonably priced and the portion sizes are very generous. And of course there is a selection of delicious puddings, but I challenge you to fit one in after the roast! It can be done if you are quite happy to settle in for the whole afternoon, which on a wintry Sunday with a couple of bottles of red wine it is a very nice idea indeed. 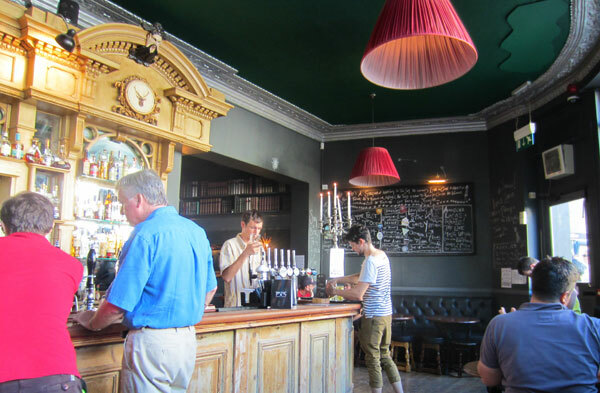 After a stomp through Hampstead Heath The Stag is the perfect place to sit back and enjoy a delicious roast and a good brew. The very friendly staff will look after you and believe me you will feel like home here! I’ll see you there!